Dining rooms were filled with pumpkin spice pancakes. There were paper CMN balloons as far as the eye could see. Dedicated and passionate team members were raising funds for Arnold Palmer Hospital for Children. 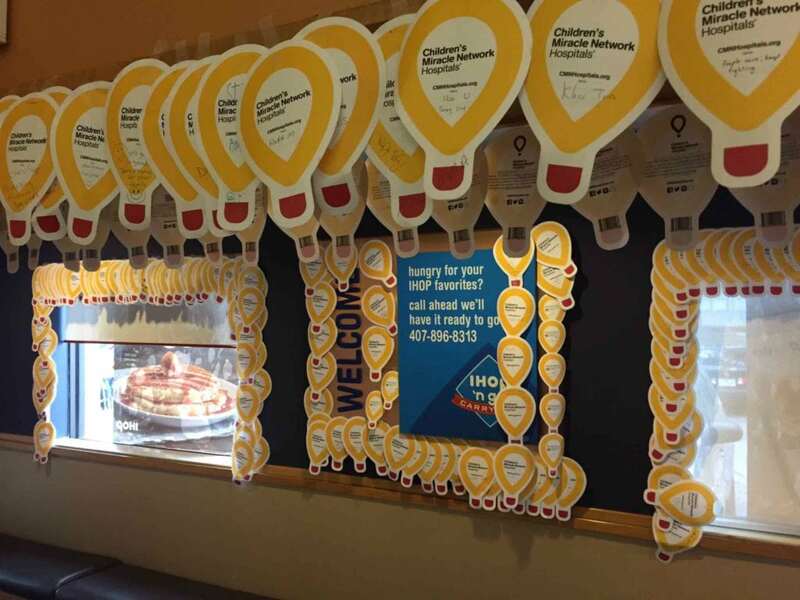 That was the scene inside IHOPs across Central Florida during their fall campaign for CMN Hospitals. The campaign ran from October 6 through October 24 and the sense of competition was just as high as the commitment to giving back for the kids. 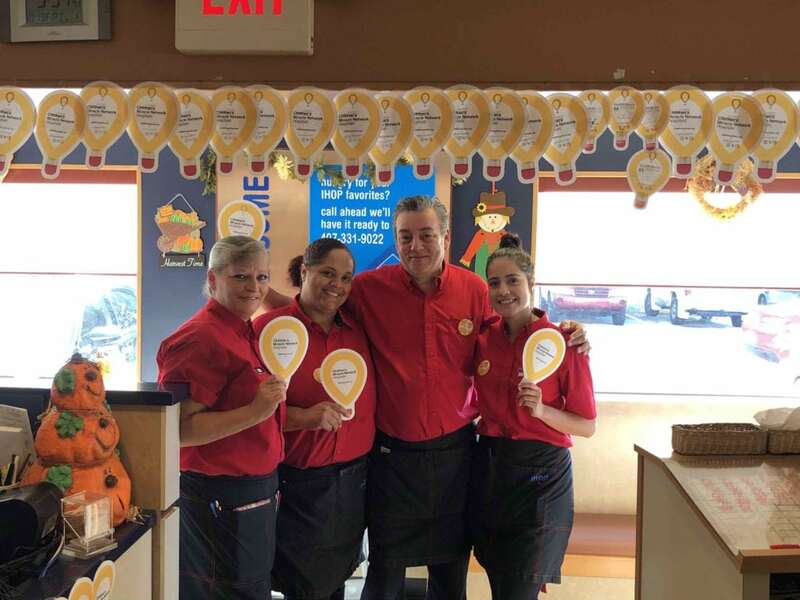 Servers would compete to raise the most donations each day to earn the coveted Top Fundraiser spot, and collectively they worked to secure corporate donations of $100 or more from their regular customers. 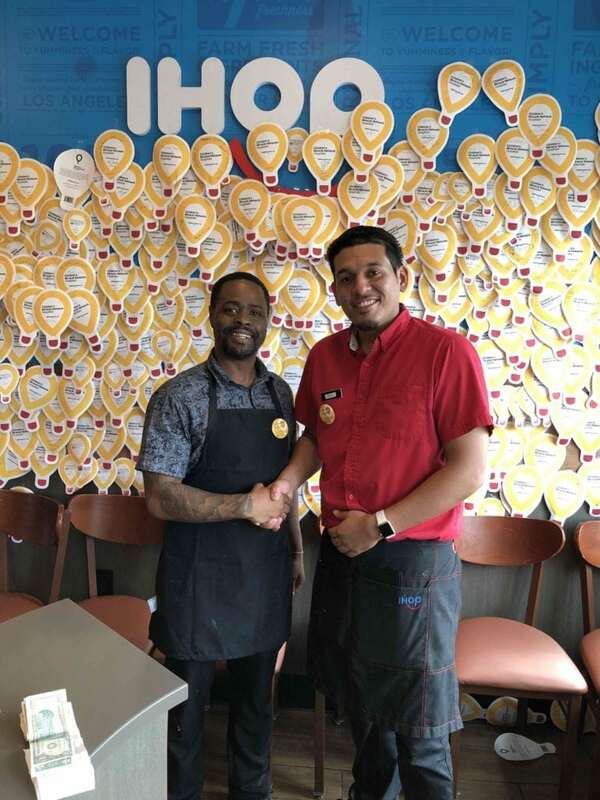 For every donation of $5 or more, IHOP provided customers with a $5 coupon to use on their next visit – a win-win for everyone! 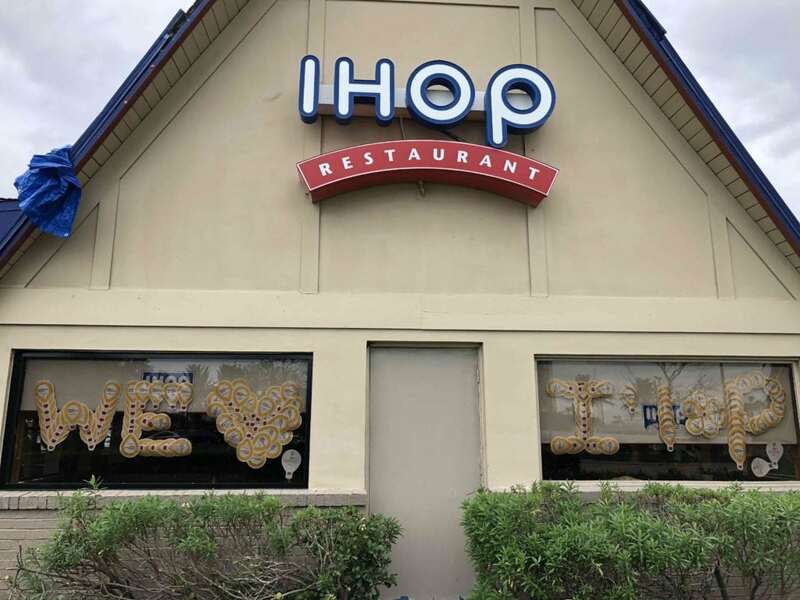 This is the second fundraising campaign of the year for IHOP, and once again, the restaurants put the FUN in FUNdraising! IHOP #074 decided to get creative with their balloon designs and spelled out “We <3 IHOP” with some of their balloons! Manager Nate (left) with fellow staff member Harold (right) showing off their wall of balloons at IHOP #229! The staff at IHOP #053 in Casselberry were all very enthusiastic and passionate about the campaign and the kids! With more balloons to hang than wall space available, IHOP #64 framed everything they could with paper Miracle Balloons!